We are beyond thrilled to announce that The 2015 NYC Scholastic Awards Art Exhibition will be held in the Uris Center for Education at the Metropolitan Museum of Art. All Gold Key recipients will be invited to choose one Gold Key piece for exhibition. Gold Key artwork will be on display from March 16th – May 17th. Please join us for the opening reception on Friday, March 20th from 5pm-7pm as we celebrate the achievements of New York City participants. Where? Ruth & Harold D. Uris Center for Education, The Metropolitan Museum of Art, 81st Street Entrance off of 5th Avenue. The Met has a long history of supporting creative teens. Get your calendars out and take a look at these awesome upcoming programs! 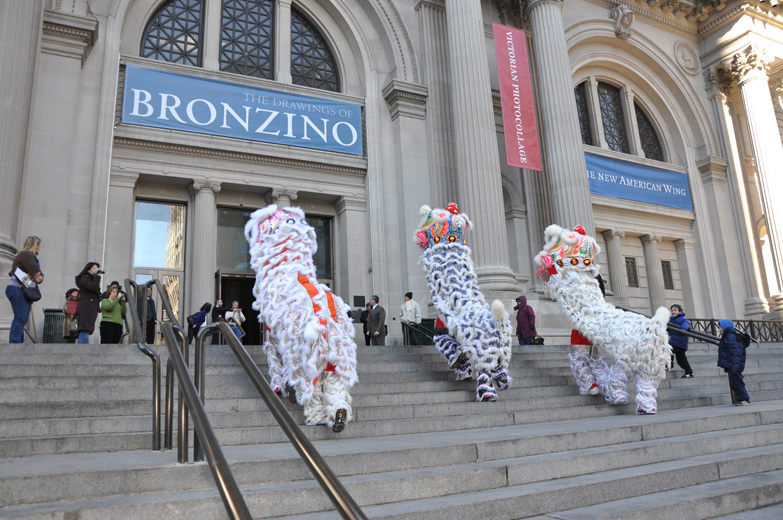 First of all, the Met’s New Beginning: Lunar New Year Festival is coming up at the end of February. If you have never been to this event, this is the year. 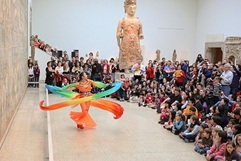 The Festival takes place all day on Saturday, February 28th, and the Museum is filled with events and activities, including Kite Making, Martial Arts, Indonesian Dance, Shadow Puppets, Chinese Tea Ceremonies, and much, much more. Take a look at the complete offerings here and book your Saturday! 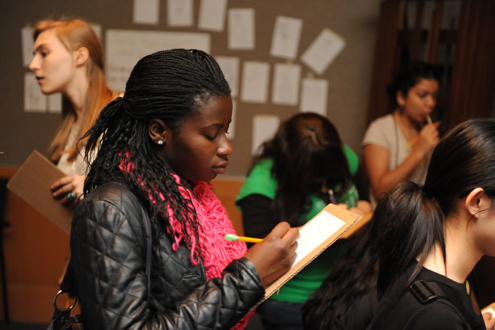 Explore the Museum with fellow teens, talk art and technique! Reserve a spot for this free event ASAP. Learn more here! Interested in a career as a photographer? Come to the Career Lab and speak with professionals about the ins and outs of the business. All Career Labs are free but reservations are encouraged. Learn more here! Spend an afternoon sketching the Museum’s African Sculpture and Masks Collection! This workshop is free (reservations are recommended) and all materials are provided! Learn more here! Inspired by the Met’s current Madame Cezanne exhibition, come try your hand at the art of portraiture. All materials are provided. This workshop is free with museum admission. Learn more here! We’ll See you at the Met!